We’re proud to congratulate a team of Morning & Evening MBA students who won the Inaugural Canadian ECLP Consulting Case Competition with GE (GE ECLP). Competing against three other top Canadian Business Schools, these students took first place in their approach to GE business cases. There are many ways for your Rotman MBA experience to extend beyond the classroom; case competitions is one way for you to enrich your experience by putting theory into practice, and is a great platform to display your strategic ability and creativity with potential employers. “Case competitions are an excellent way for Rotman MBAs to apply and showcase our Business Problem Solving Approach”, says Wahed Fidaali, one member of the GE ECLP case competition winning team. What is a case competition, and what is the experience like? 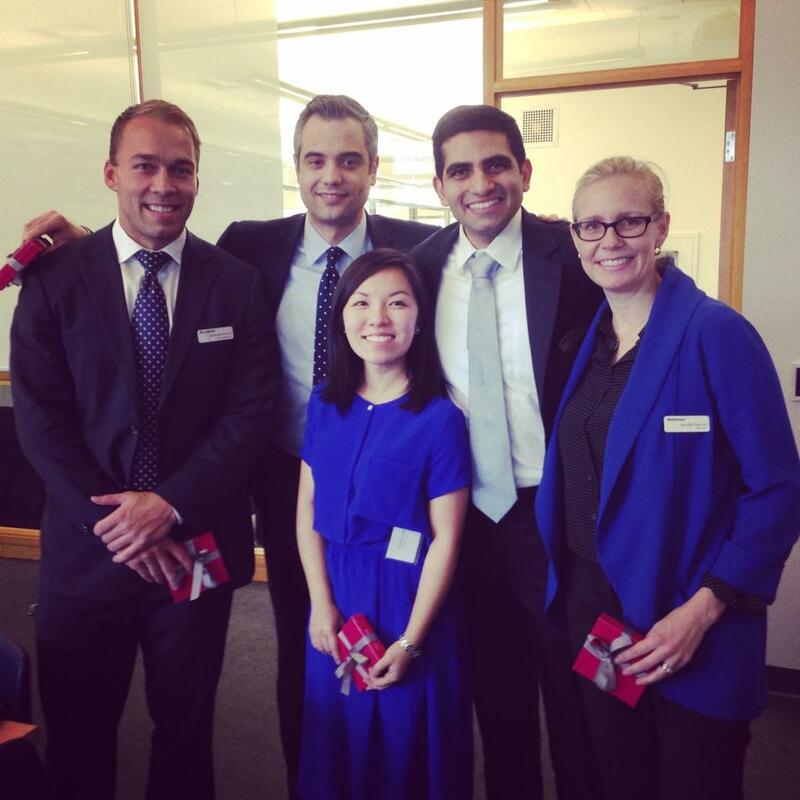 Candice Luck, a current Rotman Morning MBA student and another member of the winning team, gave us her reflections on her experience. The intersection of industrial infrastructure and digital analytics is inevitable. GE needs to define and capitalize on the industrial internet to continue to grow and maintain its relevance. GE is facing competition in this space from both traditional and non-traditional competitors. GE partnered with Accenture and Amazon to develop a data analytics solution known as Predictivity that can be used optimize the performance of industrial assets and operations. However, GE’s customers have shown reluctance in adopting digital technology and data solutions. GE is a global conglomerate with expertise in the manufacturing and servicing of industrial infrastructure, not software and data solutions. 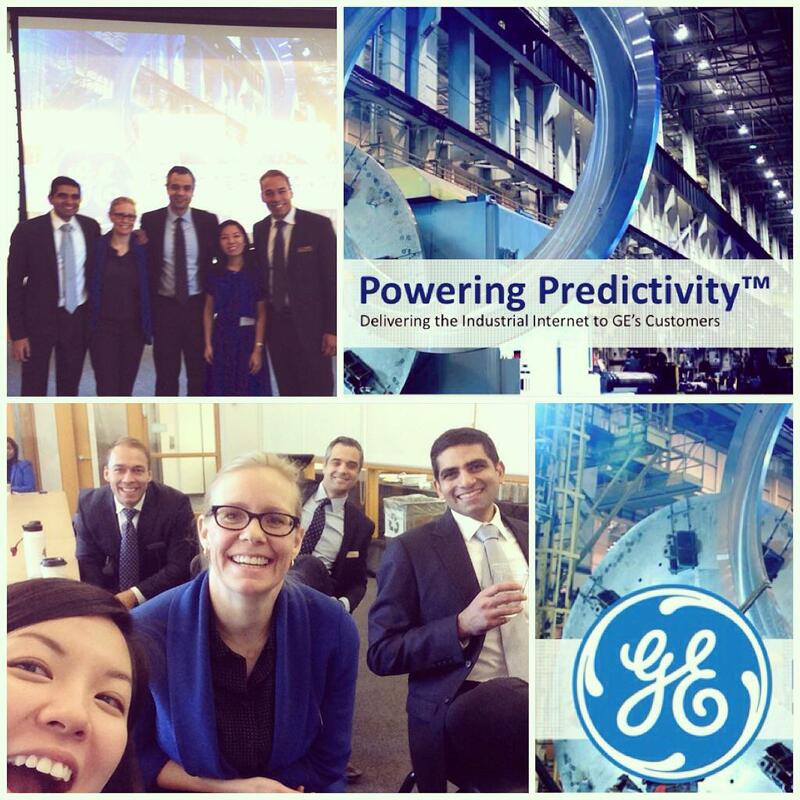 With all that, how should GE drive customer adoption of Predictivity? GE should develop a Targeted, Tailored, and Partnership Approach to drive adoption of Predictivity. This ultimately means that GE should transition from being a manufacturer of industrial product to being a provider of customer solutions. Providing customer solutions means that GE needs to develop a consultant relationship with the customer to create a custom solution catered to each customer’s needs. This requires GE to target and identify the right customer, understand and tailor to their needs, and become a partner that is intimately involved in all aspects of their customer’s business. The feedback we received was that our solution was rather “provocative” because although GE strives to become a partner, the path to becoming a solutions provider or developing that consultant relationship was unclear for GE. They were very intrigued by our delivery and detailed walk-through of how this could potentially play out. Utilizing the business design emphasis on user empathy, we mapped the emotions of a potential customer and crafted a story of how GE could walk hand-in-hand with this customer through the Predictivity adoption cycle. We delivered the story as if the judges and the audience were in the boardroom witnessing the conversation between the customer and the GE representative. We painted a picture of the future with our solution in it. That, is what I believe made our presentation and our solution unique. I was genuinely impressed by how GE developed a unique platform to recruit talent. The case competition was really well organized with the right combination of work load and networking. It allowed students to demonstrate their strengths in a live team setting. The case itself was quite interesting. It was current, relevant, and challenging. The case alone was a great experience and worth the time and effort even if it were not tied to the ECLP interview opportunity. I was really glad that Rotman allowed us to form our own diverse teams. I was surprised to find out that other schools had formed the teams based on individual student applications. Our team was complimented for our display of cohesiveness and team dynamic. It was a great experience working with my Morning & Evening MBA classmates. As a working professional balancing school and other commitments, it was a tough decision to invest in yet another extracurricular activity; and the decision was the right one. The opportunity to apply my skills directly to a live case in a short period of time and to create an actionable strategy for a global conglomerate was priceless. It is so important to step outside of your day job and the classroom to participate in the unique opportunities Rotman has to offer. Because frankly, there’s never a good time. So if not now, when? If you’re interested to learn more about the Rotman Morning or Evening MBA program, visit our website at www.rotman.utoronto.ca/me-mba. Contact us for more information or to start your MBA August 2015. You may also contact the Assistant Director of Admissions directly. We would love to meet with you! This entry was posted in Beyond the Classroom, Morning & Evening MBA, Morning MBA, Student Life and tagged Case Competitions, Current Students, Events, In their own words, Networking, Part-Time MBA, Powerful Network on December 15, 2014 by Rotman ME-MBA & MFin.